Waiting on Wednesday is a weekly event hosted by Jill at Breaking the Spine. In this prompt we discuss books that have yet to be published that we’re excited about! Head over to her blog to learn more. 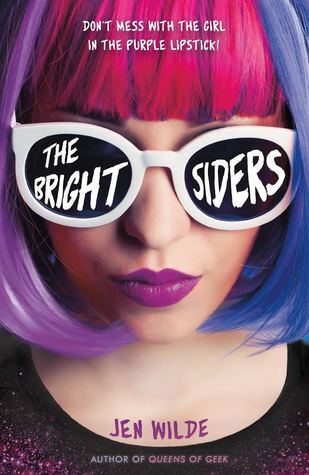 I absolutely CANNOT wait to read The Brightsiders by Jen Wilde! It is a YA contemporary about a teen rockstar and her life in the spot light. It is a super diverse book and I’m just dying to read it. I was lucky enough to receive an ARC of it from Fierce Reads and I’m SO ready to dive in, so look out for that review! Synopsis: A teen rockstar has to navigate family, love, coming out, and life in the spotlight after being labeled the latest celebrity trainwreck in Jen Wilde’s quirky and utterly relatable novel. Are you excited to read The Brightsiders? What other books are you looking forward to?